Tags: arrow bracelet, bracelet, cuff, gold bracelet. 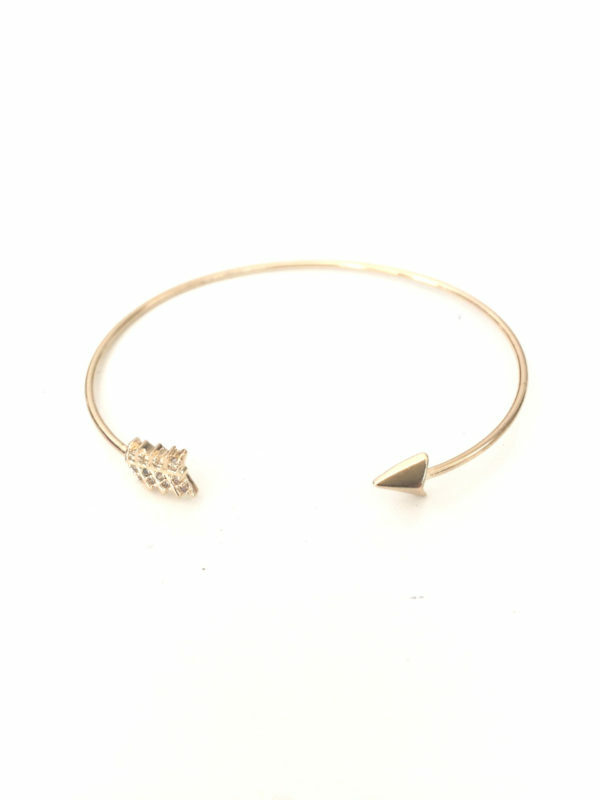 This gold colored arrow bracelet is simple and dainty. Wear it on the wrist or as an arm cuff. A perfect finish to any outfit for those who love a low-key look.